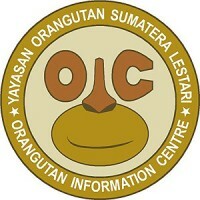 Founded in 2001 by Panut Hadisiswoyo, OIC is active in Aceh and North Sumatra. 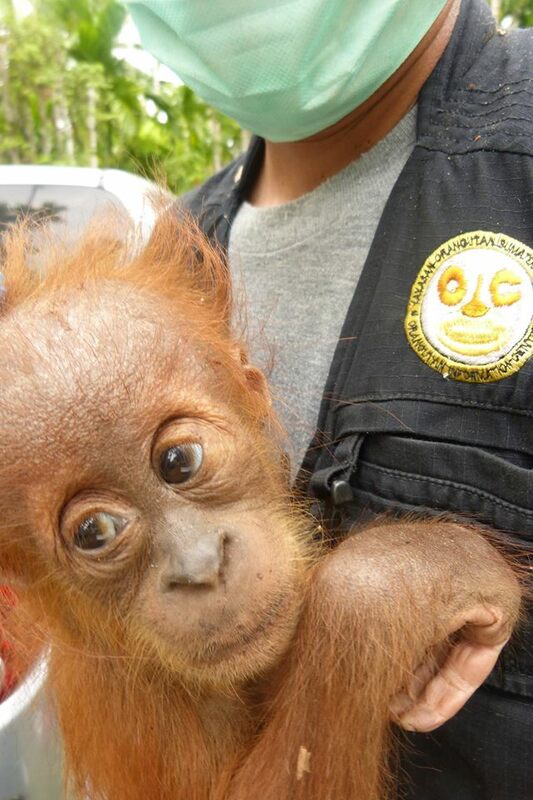 OIC is ready to rescue orangutans at a moment's notice. 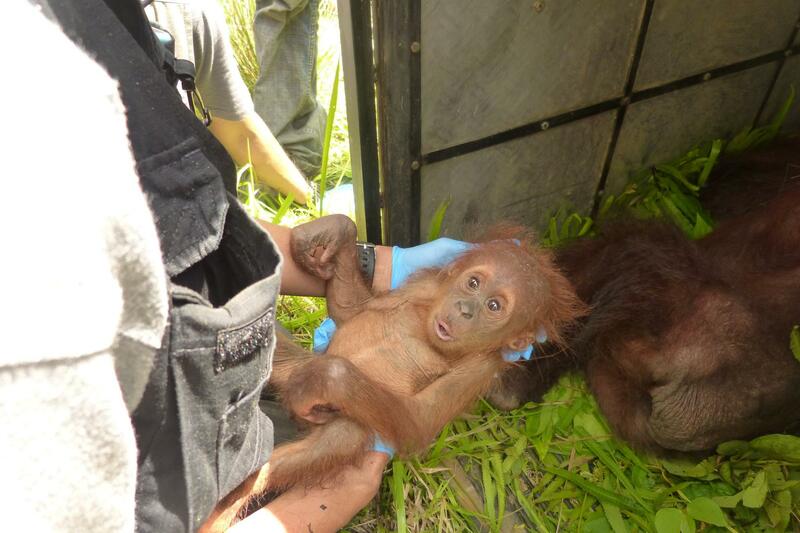 Fueled by agricultural expansion, human-orangutan conflict is a growing problem in Sumatra and Borneo. 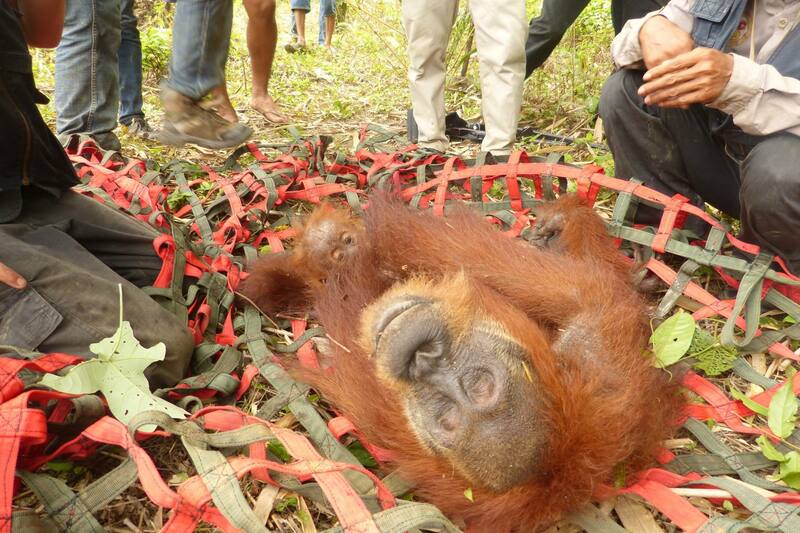 As more vital habitat is converted for farming, orangutans are pushed into plantations in search of food. 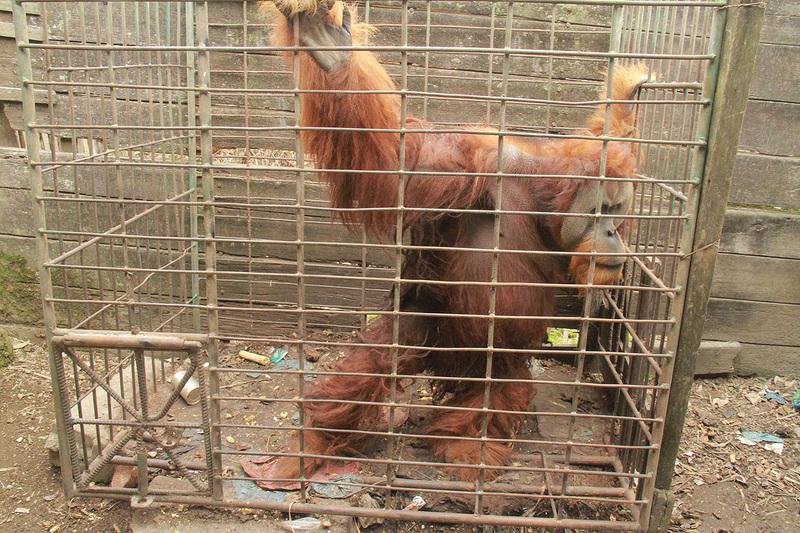 They are considered a threat to profits and may be captured, injured or killed. 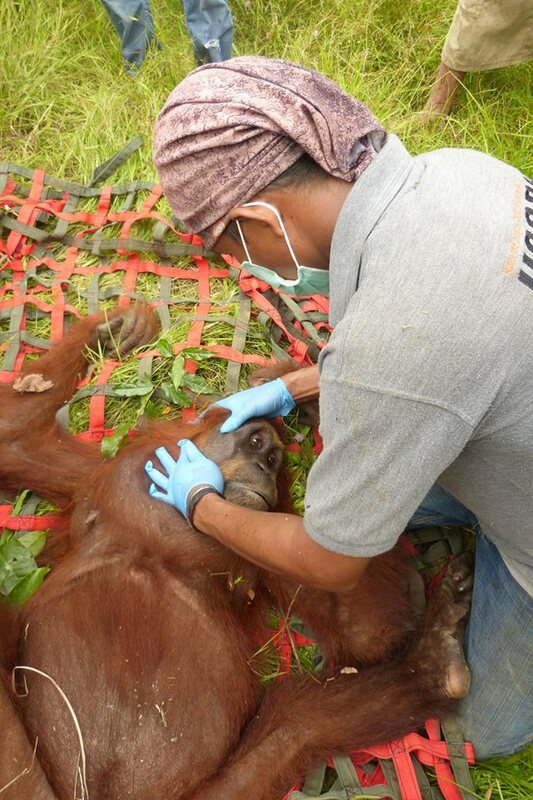 In any conflict, the orangutan always loses. 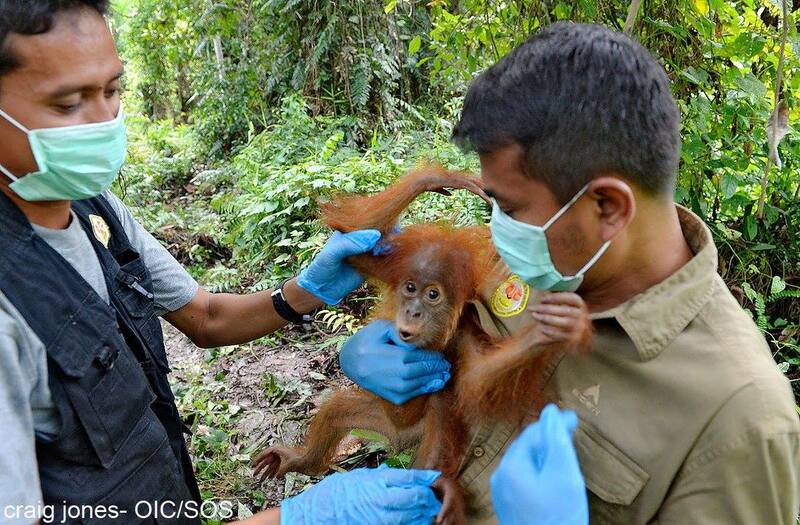 In 2010, the Sumatran Orangutan Society (SOS) and the Orangutan Information Center (OIC) established a new specialist team to tackle the problem. 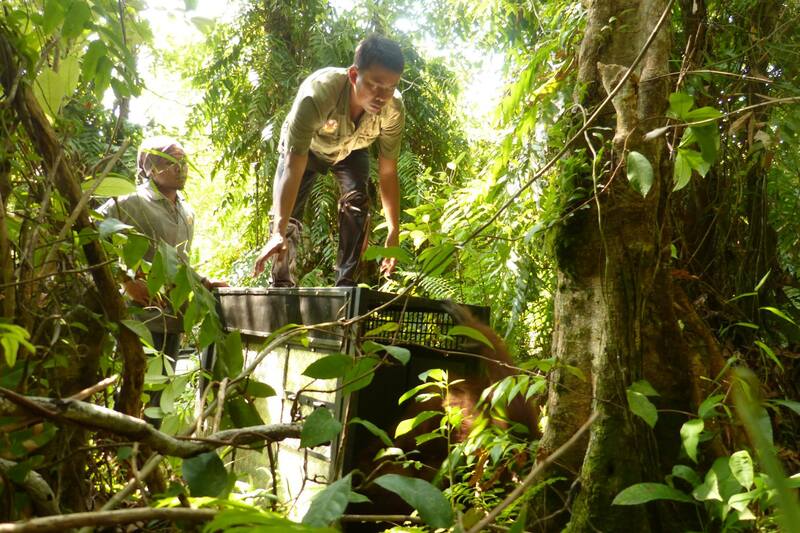 The Human Orangutan Conflict Response Unit (HOCRU) is responsible for investigating and mitigating conflict between farmers and orangutans. 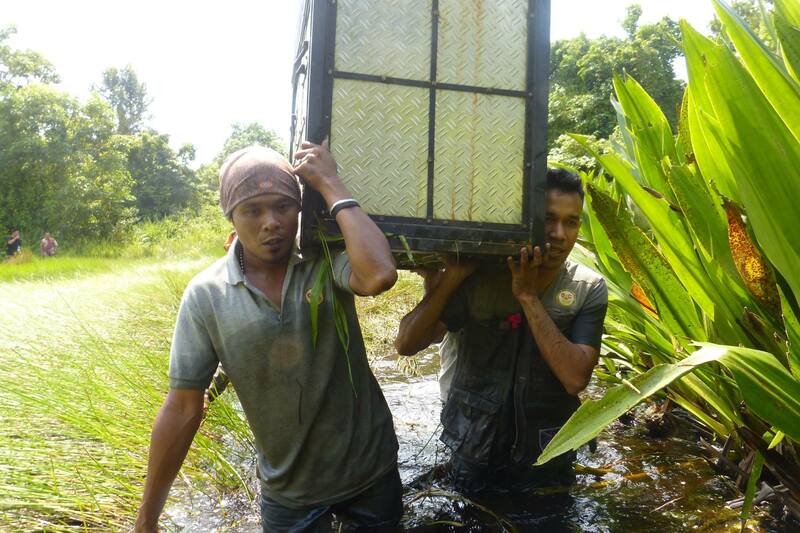 The team patrols throughout North Sumatra and Aceh, surveying agricultural landscapes, evacuating orangutans that are trapped in small pockets of forest surrounded by farmlands and relocating them back to the Gunung Leuser National Park. 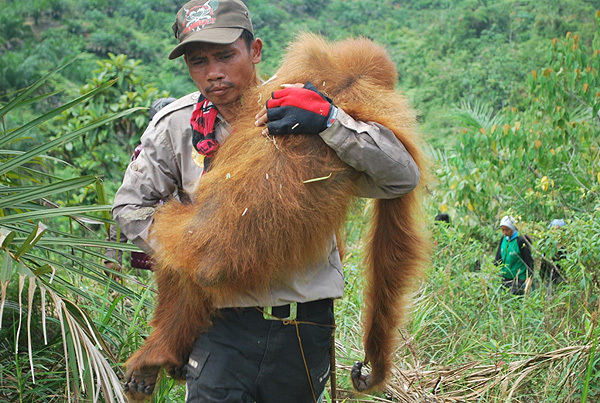 They also provide training for farming communities around the Leuser forests in safely dealing with human-orangutan conflict, helping them protect their crops without harming wildlife. 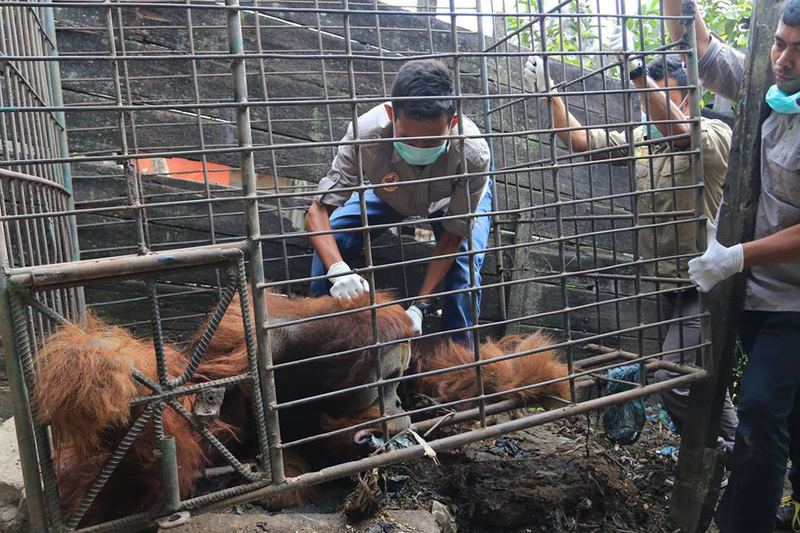 Confiscated orangutans are brought to the SOCP Quarantine where they are given medical attention and tender loving care. 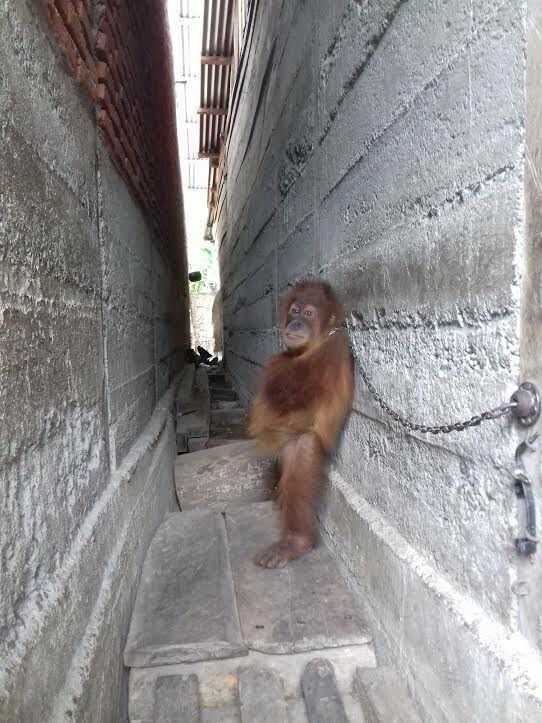 Following their quarantine period infants are moved to the SOCP Baby House where they begin their rigorous rehabilitation routine. Learn more about the SOCP Baby House. 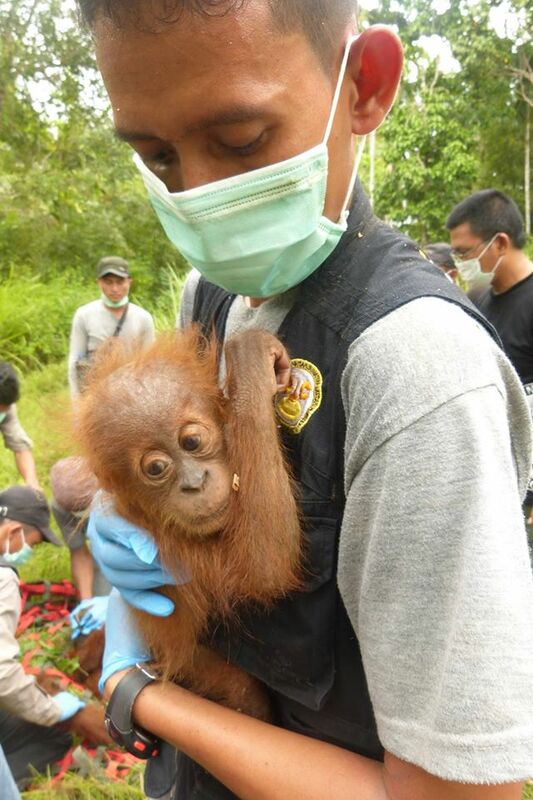 Orangutan Outreach is proud to be supporting OIC to help them with their valuable field work. 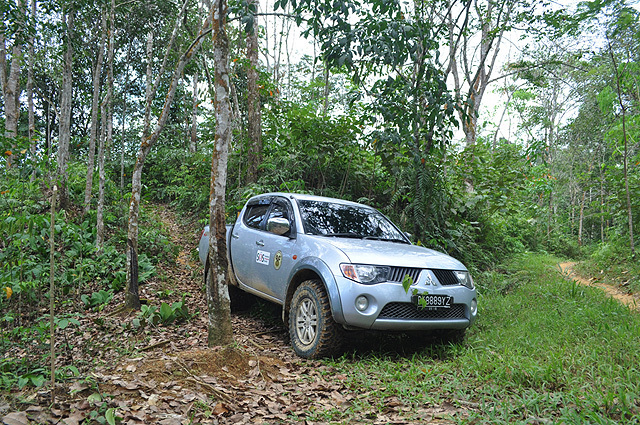 In 2013 we helped them purchase a new HOCRU vehicle and have been supporting their field work ever since. Please make a donation for the OIC HOCRU team today!